Beautiful tree-lined streets and lush landscaping welcome you to this amazing community of Cooley Station where your future home resides! With a bright, airy floorplan and a 16 foot window wall for indoor/outdoor living, you are sure to fall in love. Oversized corner lot with pavers and synthetic grass. This is one of the larger lots in the community (almost double!). All tile on the main level, along with a den that is perfect for a home office or convert to 4th bedroom. Gourmet kitchen, stainless appliances, HUGE walk in pantry and large island. Spacious loft upstairs, split bedroom floorplan. Amenities include resort-style pools, parks, basketball courts, walking paths, all yours to enjoy. 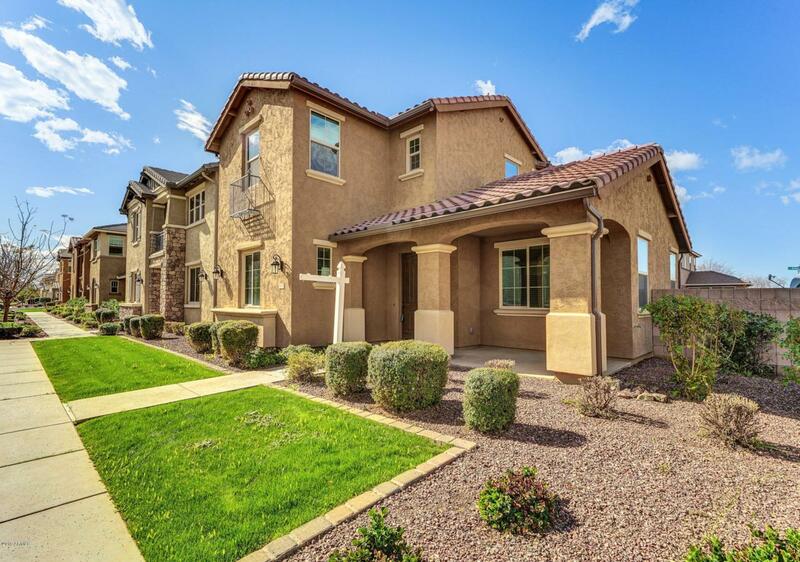 EXCELLENT LOCATION, close to downtown Gilbert, 202 Freeway, Mesa Airport, walk to schools. Listing courtesy of Tina Marie Realty.